Recently widowed Rachel Kaufman is seeking a fresh start for herself and her son, Justin. 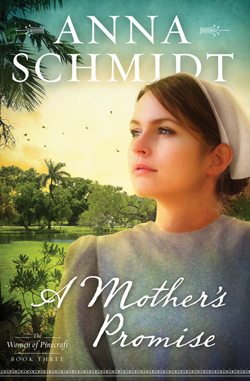 Will a move to Florida, her new job as a hospital chaplain, and Pinecraft's Mennonite community be the balm to soothe her grieving soul? Teenager Justin is struggling to fit in. Will a newfound sense of power as a bully be his only recourse? Dr. Ben Booker lost his faith when his niece Sally became ill. Will his attraction to Rachel restore him mentally and spiritually? When gossip about Rachel jeopardizes her career and her second chance at love, how will God work to turn a potential disaster into paradise?